Sandwiches can make a quick dinner as well as a fun picnic meal. Check out these cold, easily packable sandwiches that are good enough to write home about. Sandwiches are some of my favorite, easy meals. But, I’m not talking bologna on white bread. I’m talking about mini masterpieces that boast plenty of flavor and texture. Whether you’re looking for a great picnic lunch, something new and refreshing to brown bag to school or work, or just an easy meal to pack on your next road trip, you’re bound to save money and eat well with these fantastic sandwiches. 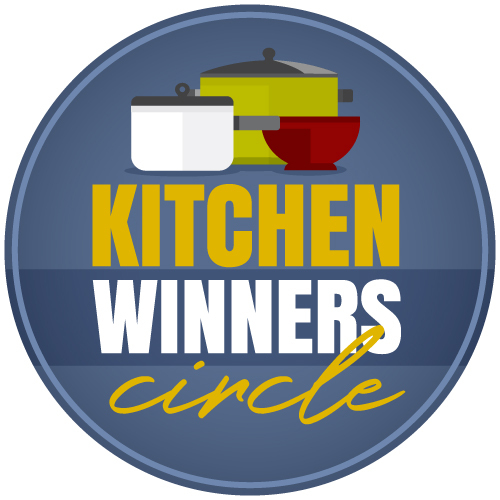 Not only can you make them delicious, but you can also make them healthy and economical. 1. Start with great bread. Make your own or buy quality bread. It’s the base of a great sandwich. 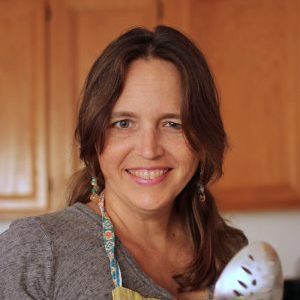 If you can use whole grain, you’ll up the nutrition. 3. Pack on the veggies. It’s all too easy to carbo-load, so make sure you stuff some veggies in your sandwiches. Lettuce, tomato, roasted peppers — these all add texture, flavor, and added nutrition. 4. Wrap for the road. If you’re packing sandwiches for school, work, picnics, or general on-the-road eating, wrap them well. If you know it will be several hours before eating, pack the spreads on the side to avoid soggy sandwiches. Layer dry ingredients like cheese and lettuce near the bread to add another layer against sogginess. 5. Eat and repeat. 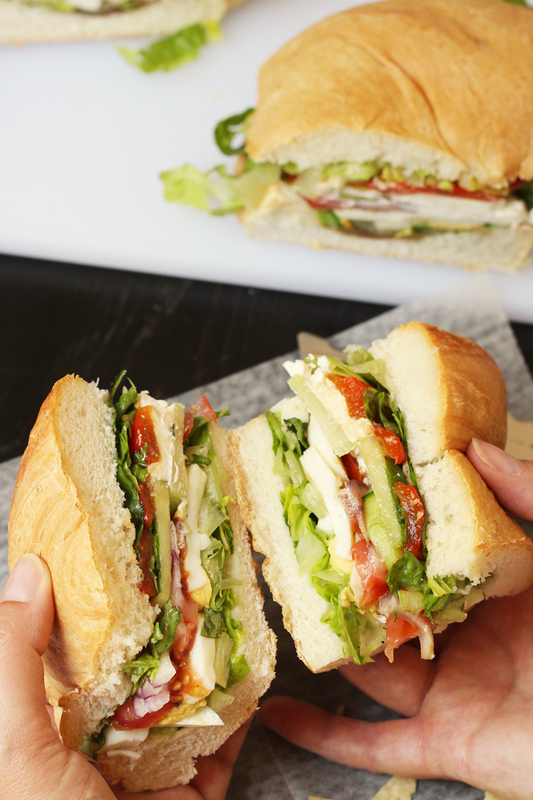 Sandwiches never need to be boring. You can vary your sandwich components and make a million different components. Need some help? Try one of these Good Cheap Eats favorite sandwiches that is great for packing. 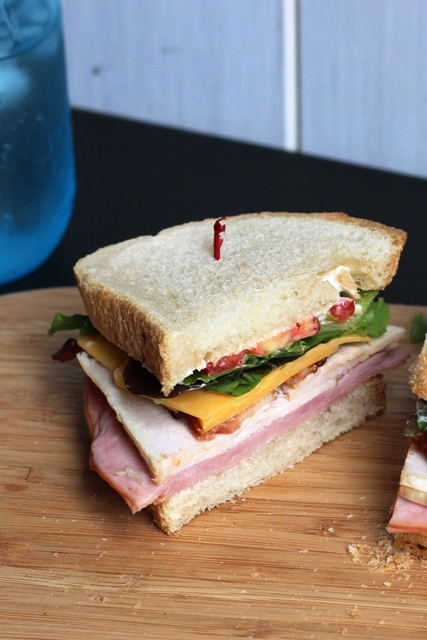 Enjoy eating in the great outdoors with this jumbo, easy, make-ahead Picnic Sandwich. Meatless and packed with lots of fresh veggies, it’ll do your summer good. 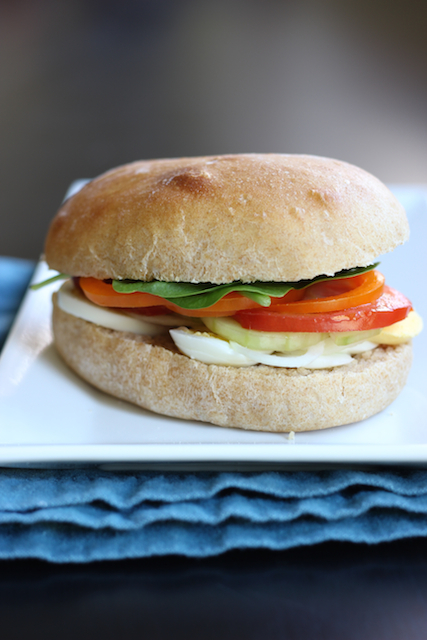 Go beyond the egg salad sandwich with this Egg Plus Salad Sandwich. Hard cooked eggs, vinaigrette, and abundant veggies make a delicious and economical meal for Sandwich Night. The Spring Street Club Sandwich was once featured at the now-defunct Spring Street Deli in Paso Robles. It was one of my very favorite splurges in the world. So good! I recreated it so I can have it whenever I want. 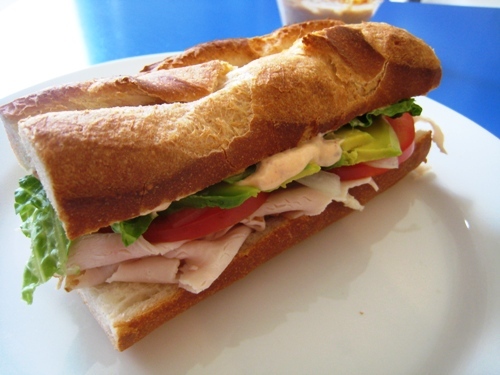 Chipotle mayonnaise, turkey, and avocado make a very happy combination, particularly on a crispy French Baguette. You’ll be so pleasantly satisfied with this Turkey Avocado Baguette Sandwich with Chipotle Mayonnaise. 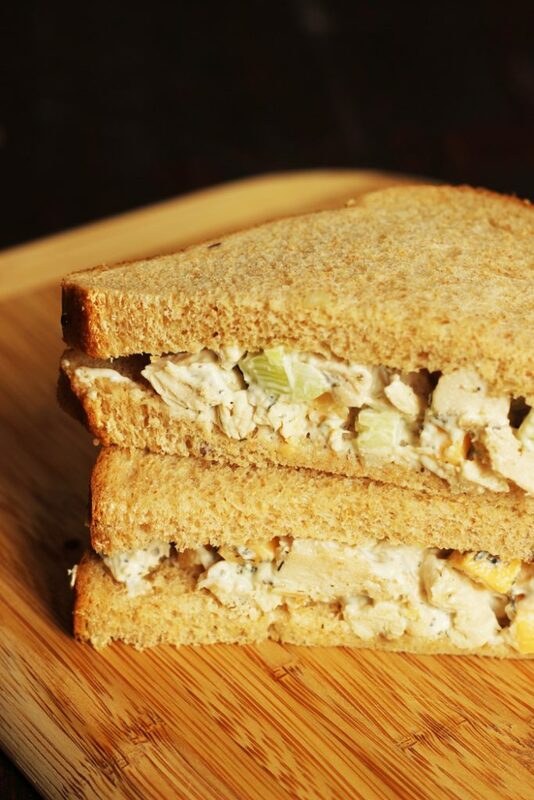 These Chicken Salad Sandwiches are so tasty! 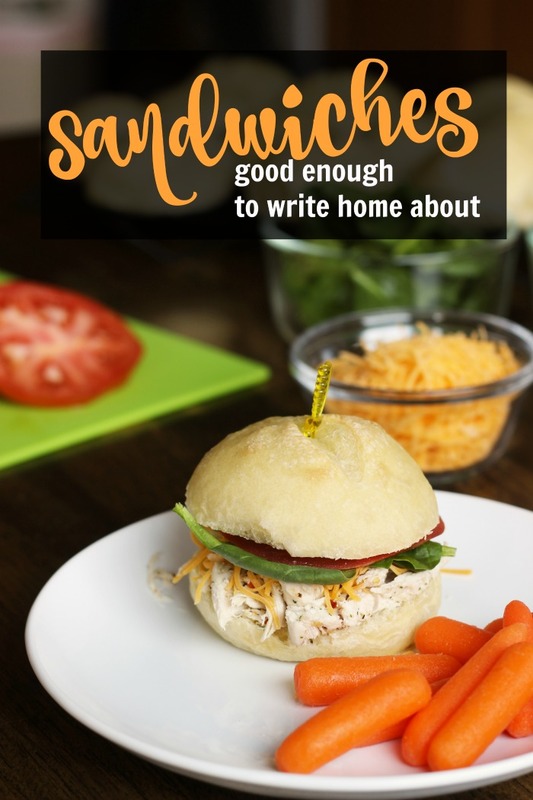 With crunchy bits of celery and savory bites of cheddar, this chicken salad is note-worthy, perfect for packing or a sandwich night at home. They’re simple, but satisfying. Layer buttery avocado with salsa ingredients on toasted bread for a sandwich that’s light, yet packed with flavor. 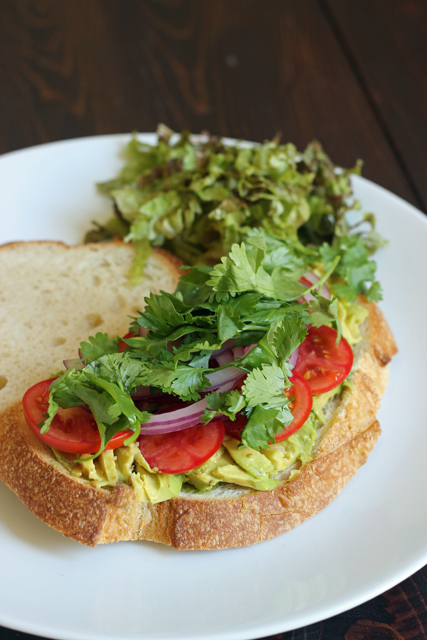 This Avocado Salsa Sandwich is like avocado toast on steroids. If you’re making these for takeaway, add a little lime or lemon juice to the mashed avocado to prevent it from browning. What are YOUR favorite kinds of sandwiches? 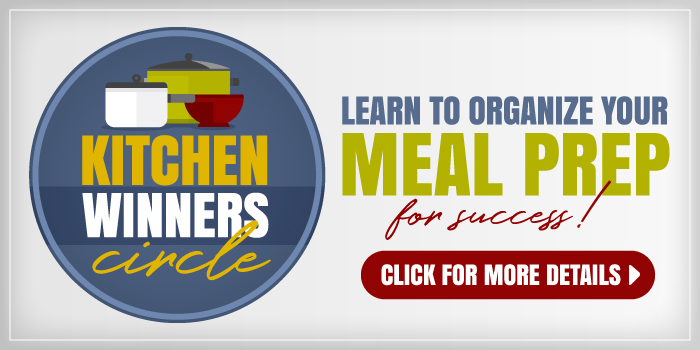 Meal Planning: How do YOU do it? Starbucks used to make a turkey pesto baguette that I loved but stopped carrying it. Now I make it at home for a lot less money and more filling to bread. sounds really yummy with the basil and cranberries! yum! Cut off the top of the bread loaf and set aside. Hollow out the inside of the bread bottom and brush with 1/4 cup salad dressing. In a bowl, combine, veggies and mix with 1/2 cup of the dressing. Spoon veggies into the bottom of the hollowed out bread. Then layer slices of turkey, cheese, and ham on top of veggies. Cover with the bread top and cover with foil or plastic wrap and refrigerate till ready to serve. I made a new sandwich today – really a wrap – but it was something I put together with what I had on hand. It was a wrap with hummus, turkey, lettuce and tomato. I also sprinkled it with some Parmesan cheese and pepper. It was a delicious lunch!